Part of the Funko brand Vinyl Sugar, Vinyl Idolz goes back to the Adam West and Burt Ward days of Batman. 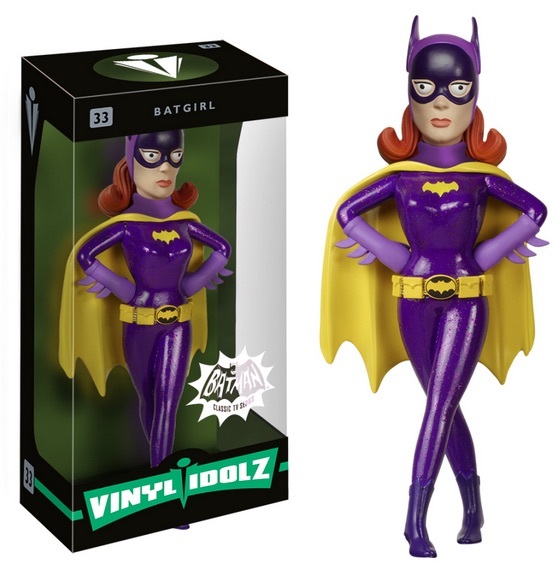 The 1960s television series is honored with 2015 Vinyl Idolz 1966 Batman figures. The full set contains four main characters, including the famed superheroes Batman and Robin. Well before the dark and gritty reboots, Batman was a campy and simple show that followed the Caped Crusader and his sidekick, the Boy Wonder, from 1966 until 1968. There was also a film released in 1966 with a majority of the same cast. 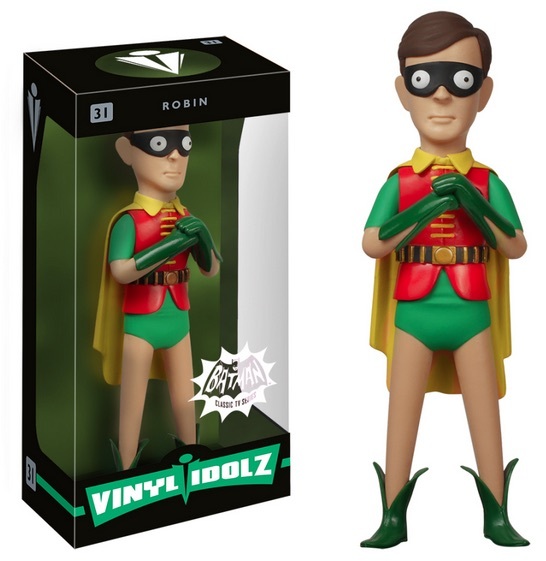 The 2015 Vinyl Idolz 1960s Batman release perfectly captures the essence of Adam West as Batman and Burt Ward as Robin. The two heroes are joined by Batgirl and the Joker. 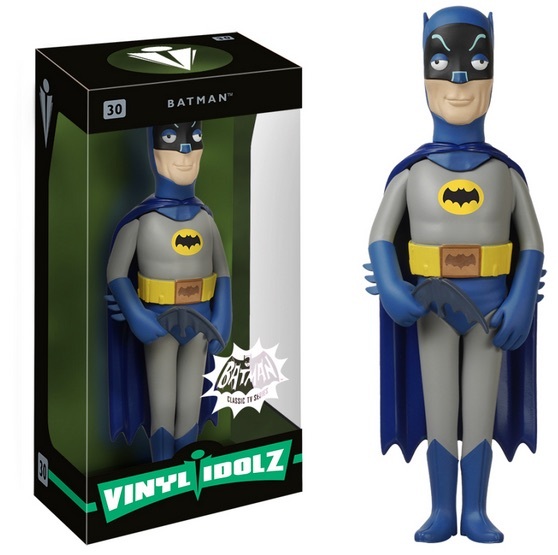 The full 1960s Batman set is numbered as part of the main Vinyl Idolz line that includes variety of other popular franchises such as The Walking Dead and Seinfeld. More expensive than their Funko Pop! 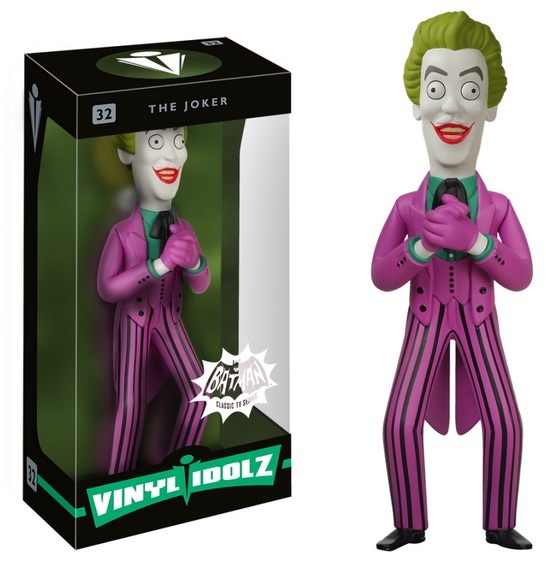 cousins, 2015 Vinyl Idolz 1966 Batman feature a more realistic design and a larger size of around 8". Click on the images to shop for figures on Amazon.